It is clear that Horne is not entirely fond of being perceived only as a literary writer, and especially not among those who only read each other’s books. She is at ease with the commercial possibilities of literary fiction, relying on the compelling power of a good story to drive reader interest. I’ve written two short story collections – one’s been described as ‘spirit of Bradbury and Atwood’, the other is experimental – metafiction, I guess. What’s exciting for me is the potential to publish distinctive creative work that wouldn’t be picked up by mainstream publishing in the current climate. The books are Wrapped Town and Nanonovels. My stories come from many different sources, but on balance they’re led by ideas. An image or character might start it off, but it needs to be fed with a strong idea. Themes emerge through the telling, definitely. If I sat down and decided to write about family relationships, say, or war, or the condition of Scotland, it would come out worthy and portentous. It would probably be better as a tract or treatise, or journalism, not fiction. My thematic concerns often aren’t apparent until I look back at the book, usually with the distance of time. For example, I noticed a lot about bodies and transformation in Wrapped Town, which wasn’t obvious at the time. But I’d had an operation which was clearly feeding into the stories in strange ways. With Nanonovels, I couldn’t anticipate how the internet would evolve, and that Amazon would introduce the Kindle that year and transform the culture of books and reading on a massive scale. Thematically, it has turned out to engage with the interface between physical books and how we are manipulated by computers – the struggle between human and non-human and the creative act as an essential element of the life force. And it’s also turned out to be a profoundly European book – and no way could I anticipate that Europe would suddenly be such a turbulent place and idea. My book is full of the joy of languages and ideas in European culture, and that suddenly seems threatened. The creative process is antithetical to how the creative industries work, and how funding works. Publishing and radio commissions (I’ve written for radio) are, I guess, necessarily goal-driven. By and large you’re asked to pitch, know what your theme and shape is, what resources you need, and what the ‘outcomes’ will be. Which is completely at odds with the exploratory nature of creativity. There’s a completely different creative freedom in writing to your own instincts. Great questions! Nanonovels is an interesting example, as I was exploring precisely that tension between randomness and control. The ‘design’ of the Nanonovels experiment was the controlling framework, and after that everything was shaped by surprise. I blind-chose the books, blind-chose the phrases that sparked the stories. After that, it was a feeling of being ‘led’ into each story (overcoming my own resistance), as if the story showed me what it wanted to be. I don’t mean that in a woo-woo way. I mean that there are linguistic and shape-grooves which we instinctively feel and follow – something emerges from the chaos and I followed it, and the shape crystallised. And near the end, I had to find an ending-note, so there was a shaping thought at that point. So I guess I ‘alphaed’ the experimental framework, and then the dice were thrown, then it was a cooperation between the forces of determinism and me! Nanonovels opens with a quote from the theoretical physicist Brian Greene: ‘Free will is the sensation of making a choice.’ So those questions of control and emergence are right at the heart of the book. I’m with China Miéville on this – literary fiction is simply a genre like all the others. Genres are constructs to help writers and publishers find readers. I’d love to be able to argue that literary fiction writers are the artists of the literary world, that they’re experimenting at the boundaries of what’s possible, inventing new creative vocabularies, researching new ideas. But in practice that’s a tiny subset of literary writers. The really experimental writing won’t rise to public awareness, as it isn’t commercial. I know literary fiction tries to position itself in opposition to ‘commercial fiction’, but that’s a false dichotomy. The literary fiction we actually get to see is by definition commercial. It isn’t taken on by publishers unless it has a chance of earning its keep. Publishers are businesses, after all. So for me ‘literary fiction’ is a self-reinforcing category which emerges from its writers having a literary education which predisposes them to writing in a certain way. It may be the subject of critical analysis in literary departments at universities, and in newspapers – again, self-reinforcing. It’s often associated with a ‘higher’ style which sometimes allows its writers not to bother with story, and readers to struggle. It’s an artefact of a certain education and mutual understanding. A badge, if you like. I don’t see this necessarily as a negative – I’ve had that kind of education myself, and have had great joy from reading in the literary canon. But the boundaries between genres are very blurred, and they shouldn’t constrain writers from experimenting, and writing what they want to write. What’s really exciting for me about the new self-publishing is that experimental work (a subset of literary fiction) can now reach out more widely. I also write for the theatre, where the live audience is a partner in giving life to your story. If you’re writing to impress, they won’t be – audiences are far cleverer than that. With fiction, I try to use those lessons and definitely want to connect emotionally with readers. I also want to challenge them, and myself, in the writing. Otherwise, what’s the point? You’re not expanding yourself and learning anything new. But I don’t think emotional and cognitive engagement are incompatible with each other – it’s not ‘either/or’. Look at Shakespeare – great stories, drama, emotion, characters, psychological complexity and ideas, linguistic brio and invention… All those elements work together. In terms of topic and known/unknown subjects, it’s really rewarding to dive into a new story-world and explore something new and unusual to readers. It’s rewarding for a writer, too – that process of discovery. ‘Expand a reader’s perspective’ – that’s too presumptuous and arrogant. I don’t know the reader’s perspective in the first place, and I’m not on that kind of mission. But I do want to learn and discover and illuminate what I don’t know. I do have a literary background (see above) but wouldn’t put that on my passport! It’s too confining and also quite grand. I’m a storyteller. I write in different genres and forms. Doesn’t matter whether it’s screen, stage or fiction. I’ve really struggled with genre for my books – literary fiction was the only home I could find for them on Amazon. They sit between magic realism, gothic, comedy, with a dash of Oulipo and metaphysical thrown in. People have compared them to Bradbury, Angela Carter, Atwood, even Douglas Adams (I wish!). They’re far more playful than most literary fiction, which is why that label bothers me – it puts people off. Nanonovels is metafiction so that puts it firmly in the literary camp, I guess. In cognitive linguistics, people talk about ‘discourse communities’ – a community united by a shared language or jargon. We recognize each others’ membership of the community through these language (and other) signals, which inevitably leads to ‘in-groups’ and ‘out-groups’. The literary community isn’t closed as such – anyone can learn the conventions and culture and join in. But it definitely is a discourse community which has insiders and outsiders. If you don’t understand that and embrace the conventions, it’s hard to be part of it. Another issue is that literary writers tend to be readers of each others’ work, so that self-reinforcement comes into play again. But if you have a cracking, well-written story, there’s no reason why it can’t appeal to a wide variety of readers. Online sales platforms are obviously a game-changer here. There’s no obstacle to indie literary writers getting into Kindle Store. They just need to learn basic publishing skills. Writers in other genres have been far quicker to jump in. Younger literary writers will take this opportunity for granted. 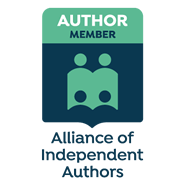 It’s just the current transitional generation of writers and publishers who are trying to uphold clear demarcations between traditional, small independent and self-publishing. But this is changing very fast. I’m helping develop a new course which will include publishing an e-book as part of assessment. It’s pretty certain this will become an expected part of literary practice. I think publisher and literary writer relationships will evolve into much more of a partnership, much less hierarchical, to reflect this shift. But in the meantime, it’s very hard for even very talented indie literary writers to gain traction in the ‘literary’ chart, because they don’t have the budget or marketing skills to reach critical mass. Literary fiction readers also often prefer physical books, and indielits don’t have the budget or distribution channels to reach bookshops easily. Until this changes, we’ll struggle. In the meantime, Kindle could really help to support literary innovation and culture by introducing an ‘indie literary’ category, and perhaps even an ‘experimental literature’ category. This would be a tremendous boost to writers who are passionate about pushing the boat out. Otherwise, e-books and ultimately all publishing will crystallise around conservative values and stop being fresh and challenging. Literary fiction has the potential to be a real powerhouse of innovation and creativity if that happens. Comment: Questions or observations for Jules Horne can be left in the comments section below. If you’re an author who wishes to join the ranks of other writers of literary fiction who have participated in the LitFic survey, click here. Jules Horne is an award-winning fiction writer and playwright from Scotland. Her stage plays ALLOTMENT and THREAD have been performed at the Edinburgh Festival Fringe, where they won Fringe Firsts, and were described as ‘this funny, muddy play’, ‘remarkable’ and ‘life-affirming’. She writes plays for theatre and BBC Radio, and has spent time in France on a Robert Louis Stevenson Fellowship from the National Library of Scotland. Her favourite writers include Angela Carter and Franz Kafka, and her darkly funny writing has a touch of Scottish Gothic. Jules teaches creative writing for the Open University, and writes in a former textile mill in Selkirk, with a blues band next door. I so agree with Jules about literary fiction having the potential to be commercial – and experimental. I would have chosen ‘commercial,’ ‘epic,’ or ‘big book’ had those options existed on Amazon. With ‘literary’ in front, as a modifier indicating special care with all the elements (knowing this might also lose potential readers). I might have, in a previous century, chosen to attempt to get an agent and a traditional publisher on board. Thank goodness, self-publishing was made easy in the fifteen years it took to write. Unfortunately, even with good reviews over a wide demographic, promotion and marketing are the hard parts, much harder than writing. We keep writing. We keep listening and learning. And we hope things will change sooner rather than later. Because we want to ride the wave. Thanks for joining the discussion, Alicia. I agree that traditional publishing is too cautious, but it has set up an edifice where it needs to sustain buildings, employees, livelihoods. So it is inevitably risk-averse, like any business. But now writers have a way of reaching small niches and benefiting from “long tail” economics. Mainstream publishing isn’t interested in this scale of operation. Good luck with your project! Hi, Jules. So many people have said that NY is too expensive – money goes to rent and services and salaries (of those at the top), while unpaid interns read slush piles. They have corporate overlords, so that publishers have to watch their pennies – advances are way down for midlist and new authors who aren’t expected to star (from what I read). What I’m interested is in writing such good entertainment that the message isn’t even noticed as it slips quietly into the reader’s mind. I think I’m hitting it – some of the reviewers have been wonderful. I want more reach than that, though, because a story needs to be read by many people to have a real effect. I hope that I hit something other than a small niche, and you’re completely right about the long tail.